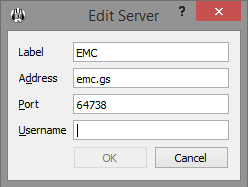 Note: EMC has replaced our Mumble server with a Discord server. See the Wiki page for more information. 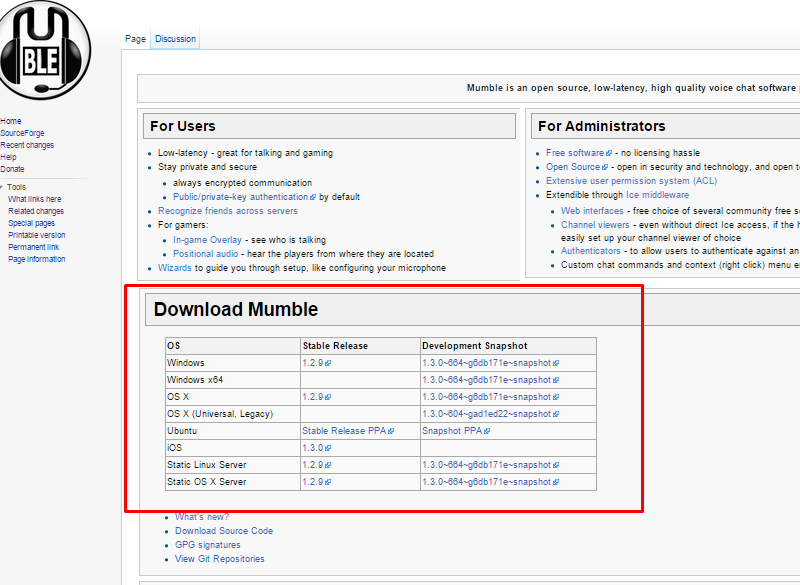 The use of Mumble is a way to talk with fellow players through voice Chat! 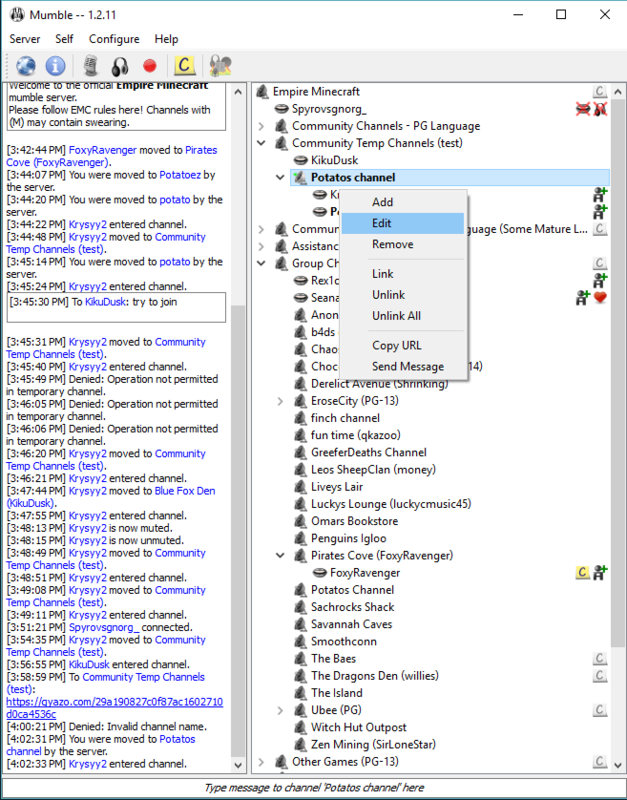 PG-13 channels exist on the EMC mumble server, and there are PG channels in which language rules apply. 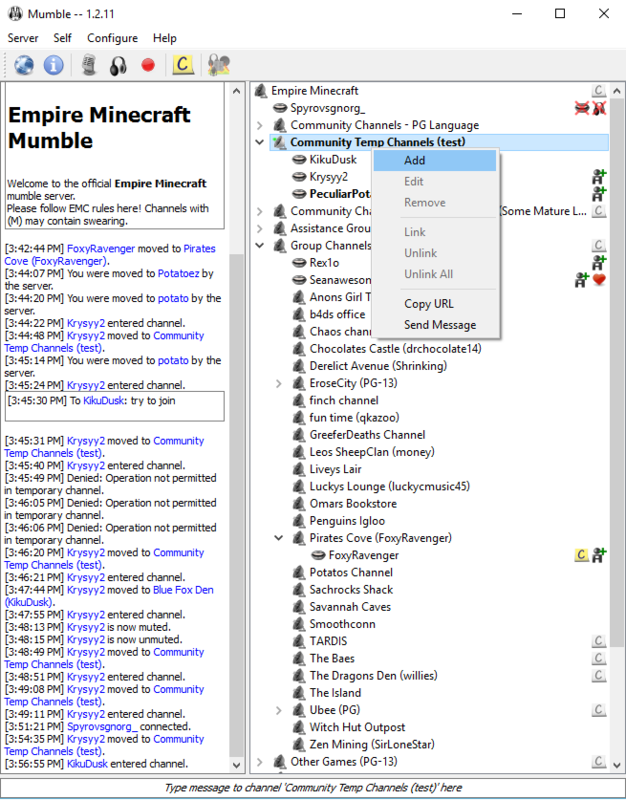 Mumble version 1.2.4 is required to Chat. 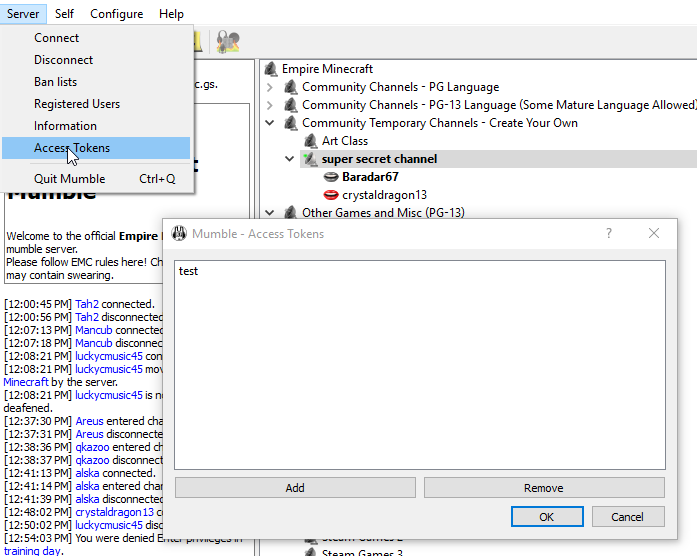 Type in your username (what you want to go by on Mumble) in the "username" box. In order to maintain good communication with everyone, please change your audio settings to push-to-talk by following the directions below. Have fun, and talk with the Community! 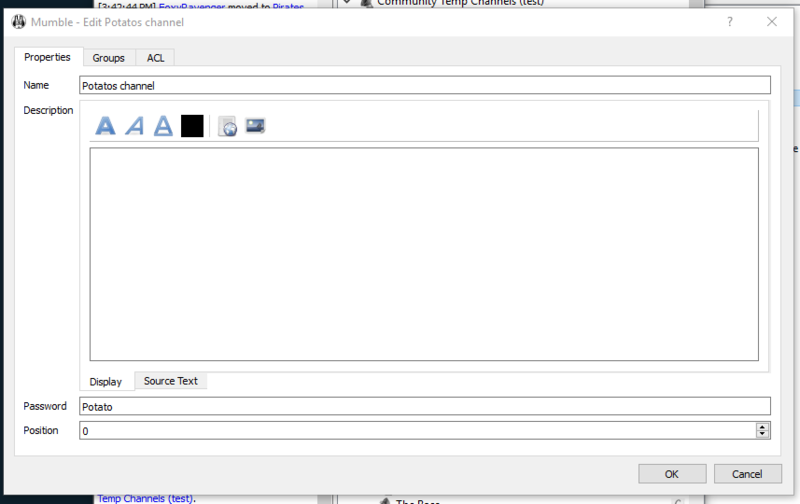 Now that you have a password, other users will need to add it into Mumble as an Access Token. You can find this in the Server menu. Simply click Add and enter the password into the box. They can then enter your chatroom at any time until the password is changed. Once you create a channel, it will remain available for as long as anyone is in the channel. Once you are done sharing your plans (like how to take over the world with your sidekicks), simply leave the channel. Parkerjv9, gamerlord48, Cchiarell6914 and 13 others like this.